The Android 4.1.2 update has started rolling out to Nexus 7 tablets around the world. But if your tablet has yet to receive the update, then don't despair -- we've got a quick walkthrough that'll get you updated in a few minutes, assuming you've got a little experience with a command line. Caution: This guide is intended for technically proficient users only. Proceed at your own risk. Dragons ahead, etc. Our zip file containing ADB executables for Windows, Mac and Linux. Check past the break to see the full manual update process. Unzip the zip file containing the ADB executables into a folder on your computer. Place the update .zip package from Google in the same folder, but do not unzip it. On your Nexus 7, go to Settings > Development options and switch the toggle on. Then enable USB debugging under the "Debugging" menu group. When the menu loads, plug your Nexus 7 into your computer. Use the volume up/down keys to navigate to "Recovery mode", then press the power button. When the Android with the red exclamation point appears, hold down power first, followed quickly by volume down and volume up. (So that to start, you're holding down power, then you're holding down all three). After 2-3 seconds, release all three keys. Use the volume up/down keys to select "apply update from ADB," then press power to select it. The update should begin installing. When it's done, select "reboot system now." 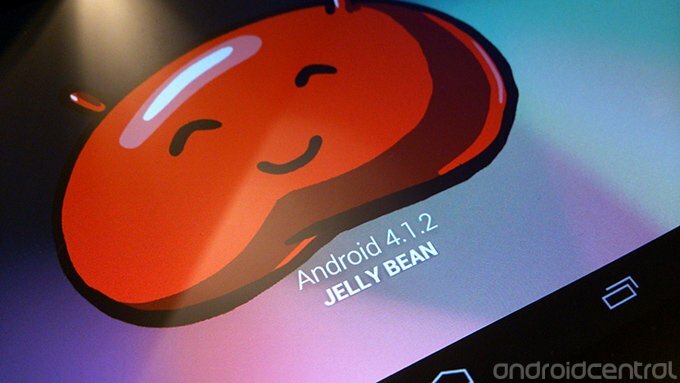 Enjoy Android 4.1.2 on your Nexus 7!